Rent a yacht for MIPCOM: the international audiovisual content market and celebrate this event in the front row seats. Yacht charter: head for the MIPCOM in Cannes! Yearly hosted in Cannes, the next edition will be held from the 14th to 17th of October 2019. The MIPCOM is the world’s entertainment content market that gathers 13 800 participants from 110 countries worldwide for an intense 3-day exhibition which allows attendees to connect with the entire entertainment ecosystem to learn and share thanks to its rich program of targeted networking events, expert-led conferences and international screenings. 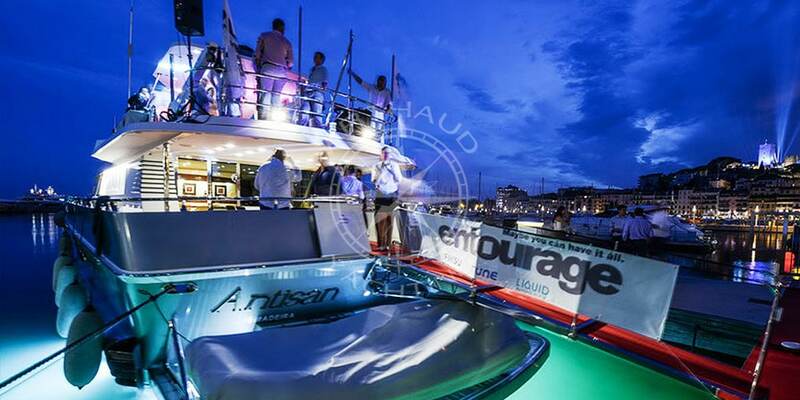 The opportunities are abounding and networking possibilities endless, but what is even better to make the most of this event is to rent your private luxury yacht charter to host your attendees in the Old Port of Cannes just minutes from the Palais des Festivals. 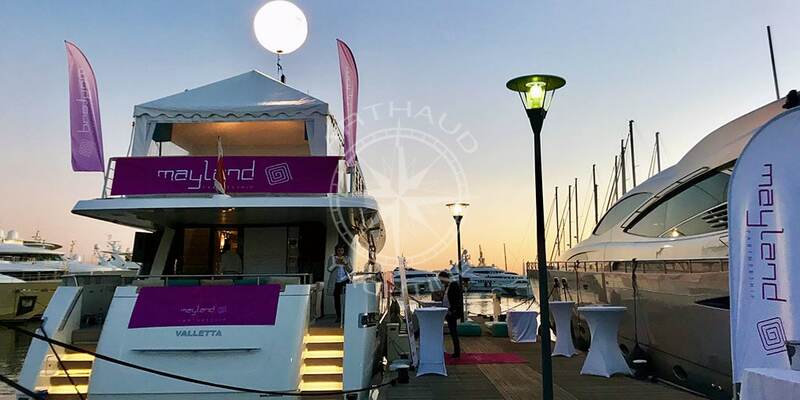 Arthaud Yachting is your ideal nautical event partner who will accompany you from the planning to the execution of your quay side yacht charter event. Present on the French Riviera since 2003, Arthaud Yachting is the pioneer in the organization of nautical events along the Mediterranean coasts, quickly appointed as specialists our mission is to turn our client briefs into reality and make your wildest dreams and ideas come to life. Our fleet presents over 1750 yachts in catalogue; the possibilities are countless, with yachts ranging from 10 to 100m all offering appealing features and characteristics, our team of brokers are guaranteed to find you the perfect match! A qualified crew at your service for the MIPCOM in Cannes. High quality rental service with many services on board our yachts in Cannes. Wide choice of yachts for your rental for the MIPCOM of Cannes. Welcome your attendees aboard your private luxury yacht charter and wow your clients, colleagues and partners by providing them an experience worthy of any five-star palace. Customized areas and decorations, personal white gloved crew, private chef, high end facilities and equipment, everything will be united to guarantee a tailormade experience that will mark the minds of everyone and make your event the most memorable yet. From a personalized welcome tent to the smallest of details such as branded cushions, pens or even tic tacs, our team of creative and innovative project managers offer you a variety of options to choose from to make your private quay side yacht charter the most unique. Portray the image of your brand and match your company’s colors by transforming your luxury yacht into your very own vitrine and sales head quarter. Welcome your clients aboard and offer them a private meeting space in a relaxed and luxury environment in utter discretion. A professional crew is at your service to tend to your every need, just install yourself comfortably with your guest and let your stewardess present you with a selection of refreshments and snacks for an experience which clearly surpasses the traditional stand up meeting in your conference hall booth. Two birds, one stone: whether to cut back on costs or simply to fulfill a life long dream, your private quay side yacht charter offers you the possibility to sleep on-board and host your guests and colleagues just in the heart of the action. Our luxury yacht fleet offers accommodation possibilities ranging from 2 – 14 guests in fully equipped, high end en-suite cabins. With services proposed just like in a hotel, you will discover a new way of travelling. Inform your crew of your schedule, choose your breakfast, lunch and dinner menus and just let yourself be taken care of, leaving you completely free of mind and focused on your business meetings. 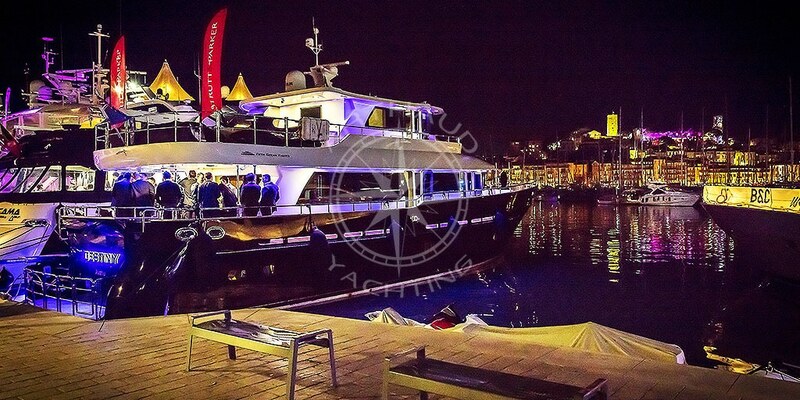 Our team of professional brokers and passionate project managers are at your service 24/7, from planning your event to supervising your stay aboard your quay side yacht charter we are present every step of the way and will assist you even in the smallest tasks such as printing your cocktail party guest list! Trust us to advise and recommend restaurants, activities and any other service you may require. Our network base is large and our panel of suppliers and partners will guarantee a high end event with only the best of everything: decoration, furniture, entertainment, caterer, wine supplier, and any other crazy idea we may come up with! Take your private yacht charter to the next level and impress your peers by relocating your venue. Different to traditional venues, your quay side yacht charter allows you to host a private meeting or VIP dinner at sea. Inform your captain and let him organize your private cruise that will leave everyone speechless! The perfect way to mix business with pleasure, discover the jewels of the French Riviera aboard your private yacht charter whilst continuing to pitch your project – imagine it: instead of your conventional roll up as your background, the picturesque Lerins Islands, or red cliffs of the Esterel whilst surrounded by crystal clear waters. At Arthaud Yachting we accompany you in all the steps to charter your private yacht and obtain an optimum berth just adjacent to the Palais des Festivals. 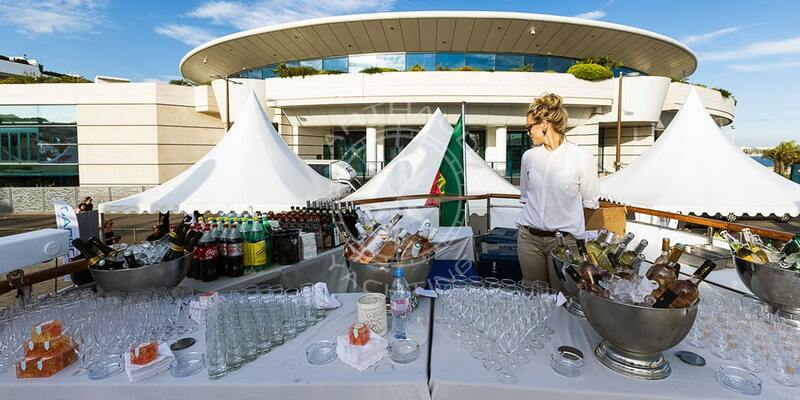 From the yacht selection process to handling paperwork, administrative duties, registration of staff and overall management of the event, we are your ideal nautical event partner. Relax, leave it to us!